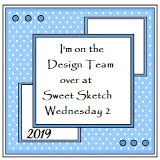 Here is my card for this weeks Sweet Sketch Wednesday 2 challenge. I made the top 3 with my card entry last week, it was lovely to be chosen thank you. I have used a Lili of the Valley image from the Party and Cake Art pad which I added colour to with my copics. My papers are from the Refreshers collection from Craftwork Cards, and I made the bow by using on of the sheets from their bow pads as a template. The ribbon is from a reel I bought from the Great Northern Papercrafts show when it was still at the Royal Armouries, so my friend Kath will know how long ago that is lol! When I clicked on to post tonight I noticed that I have had 10000 page views on my blog so I'll do a draw from all my comments for this card and send a little gift to whoevers name comes out of the pot as a thank you for your support for my blog. I LOVE the softness of this card. Fabulous pastel papers Anne! Thanks so much for sharing this lovely card with us over on the Sweet Sketch Wednesday 2 blog. Darling card Anne! Love the soft pastel colors and your wonderful paper bow. Thanks for joining us at Sweet Sketch Wednesday! Oh Anne this is such a pretty card, I love this LOTV image and your pretty pastel design papers. I love the softness and delicate feel to your card. Another lovely card Anne and congratulations on your Top 3 placing last week it was so well deserved. 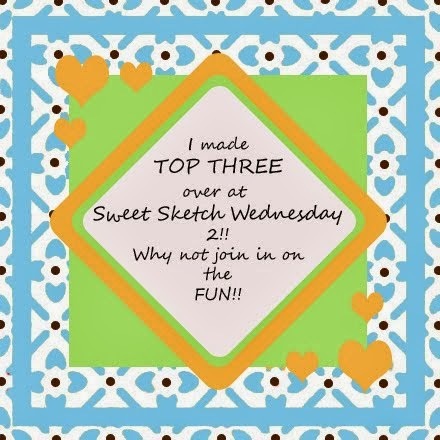 Thanks so much for sharing your wonderful talent with us over at Sweet Sketch Wednesday and good luck. P.S I'm still trying to work out how you make your bow? What an adorable card. Sweet paper and Love the iamge. THanks for joining us. Gorgeous card Anne and a sweet image and to be honest I like the colours of those papers. Yes I do remember and don't add me in the draw as I don't want anyone to think it is a fix as you have mentioned me. See you tomorrow and good luck with this entry.